Our trainers have over 683 years of combined web development experience. 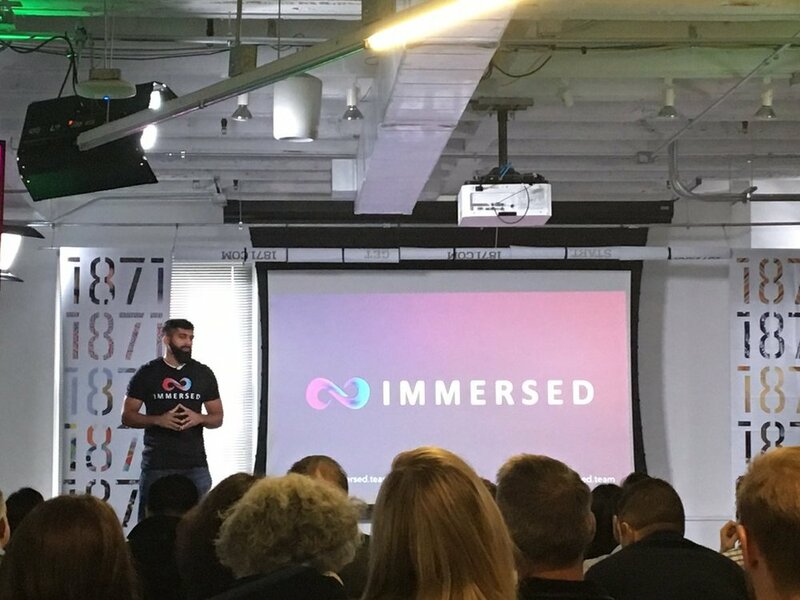 Renji founded Immersed [Techstars '17] while pursuing his Master's Degree in Computer Science from Georgia Tech, specializing in Computational Perception & Robotics. He has software engineering experience in every type of environment, from Fortune 500 companies to leading a few startups (and everything in between), coding in almost every tech stack, and is now an entrepreneurial innovator in the tech industry. Michael is a senior web developer at Liaison International and brings 10+ years of senior web development experience to the table. Next to building applications for leading tech companies, he also freelances and works on several side projects. Abraham is a tech lead at Flock. He is building a Big-Data driven risk analytics platform for drones, aggregating and analyzing real-time data, and geo-spatial data in order to make drones safe and smart in cities. He is experienced in NodeJS, Flow JS, React, React Native, Mapbox, and Postgres. Rose is a senior web application developer. She is experienced in back-end development using Ruby on Rails and has full stack experience with several frameworks across Ruby, PHP, Node and Rust. Ilya is currently a software engineer at 40 Nuggets. He is a proactive and curious developer and has owns features from conception to deployment. He strives for balance between pragmatism, code quality and speed to deliver valuable software to help accomplish key business objectives. Conrad has served as a software engineer within several different industry sectors: educational, financial, entertainment, and government. He is responsible for full life-cycle development of next-generation software, from initial requirement gathering to design, coding, testing, documentation, and deployment. Eric is currently a software engineer at Kissmetrics where he works on an agile product development team using Rails, React.js, and Saltstack. Phillip wrote his first Ruby on Rails program in 2006 and it is still powering that first client's business. Sungwon is a Ruby on Rails-focused full-stack developer with an academic computer science background. He is currently a Senior Software Engineer at UPMC on a web product used by 10s of thousands of daily users and has served as a CTO for an early-stage startup, successfully building an MVP product. He has been interested in and have followed Bitcoin and DLT since 2014. Phil is the founder of Parkverse and previously worked as a full-stack developer at Curriculet. Ben is a software engineer at Doximity, the largest HIPAA-secure medical network in the country, helping the vast majority of doctors in the US stay connected. In addition to being a full-stack developer, he also programs in Go. Jason has over 10 years of software engineering experience and is the Technical Director at BatchBlue Software, where he helps small businesses improve their customer relationships. Seth is a full-stack developer in Chicago. He founded and built Bike Index, the largest online bike registry in the world. Mike is the lead engineer at Gotham Tech Labs. He is also the technical advisor for Panoptic Development, a company he co-founded. Previously, he was a senior software engineer at Public Display and a software engineering consultant. James is a senior ruby developer with experience from the University of Georgia and corporate giants like Intuit and Raytheon. Sean is a full-stack web developer and entrepreneur who has contributed to the source code of Ruby on Rails and other open-source projects used by thousands of developers. Ahmad is a full-stack web developer working at Shopify and living in Toronto, Canada. Tyler sold his first company for five figures in high school and was the youngest founder to be admitted into Y-Combinator. Currently, he's a software developer at Teespring, a Y-Combinator company. Bob Breznak is an adjunct professor of computer science at Worcester Polytechnic Institute (WPI) and the VP of Engineering at an early-stage startup. Previously, he was one of the leading web developers at EverTrue, a TechStars company. Matthew is the former head of product and technology at Flickr and Bitly. He created a number of popular open-source projects, including lolcommits and emojitracker.